* We were sent this product for review consideration. However, we always promise an honest review. Ok I'll admit it. When I first heard that Skylanders would be coming out with a new game, I squealed a little. I loved playing videos games growing up. Actually, funny story, one of my favorite games was the now ultra popular Skylander, Spyro the purple, fire breathing dragon. Dude, he is totally the coolest one of them all. In the starter pack you get : The game compatible with your system of choice as well as 2 Skylander characters, Food Fight & Snap Shot. A Trap Team portal, 2 Traps and a cardboard holder for collecting more traps. Snap Shot & Food Fight. Pictured here is Food Fight on the NEW Trap Team portal along with his green Trap. I am holding the blue Trap in my hand to show shape and size. Here he is inserting the Trap into the portal to capture the Villian sheep. You can also see in this shot the portal is illuminated green. The portal glows various colors during game play. This is a pretty cool feature. Also don't be alarmed if the portal glows for a minute after you shut off your game system. I assure you it will shut off shortly after. By the way we play this on Xbox 360 but it is available on almost every system out there. 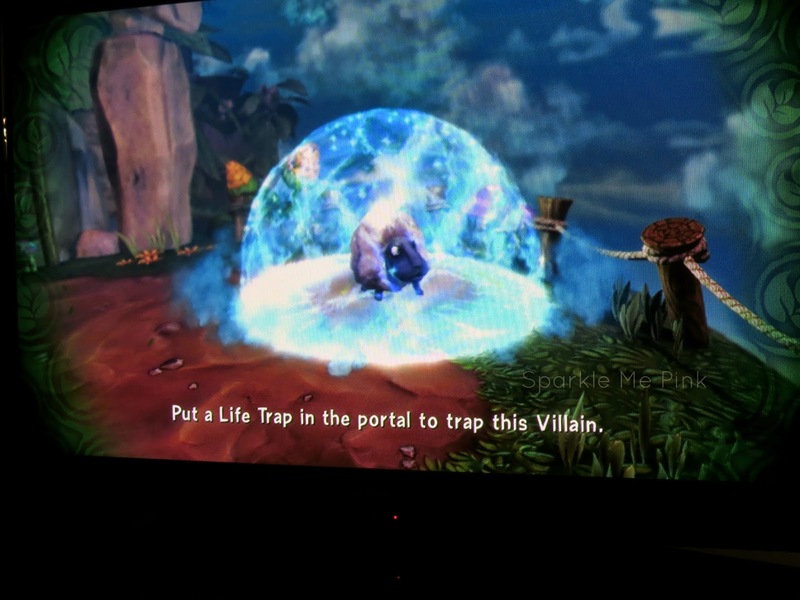 Keep in mind that each Villian needs a certain element Trap to be captured. If you wish to capture every Villain you will need a Trap in each of the elements As you may already know there are 8 different elements. Fire, Water, Earth, Life, Air, Tech, Magic and Undead. 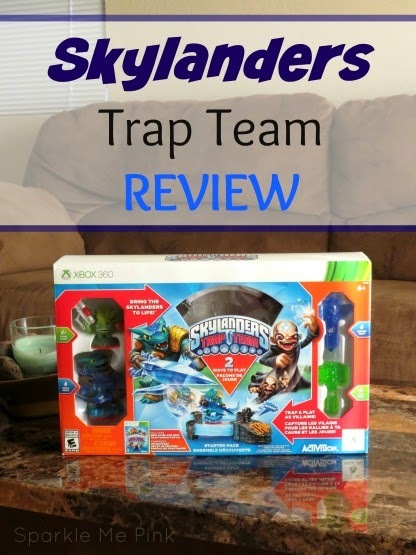 We have however noticed that several of his characters from previous games, mostly those from Skylanders Swap Force are also compatible with this Trap Team game. 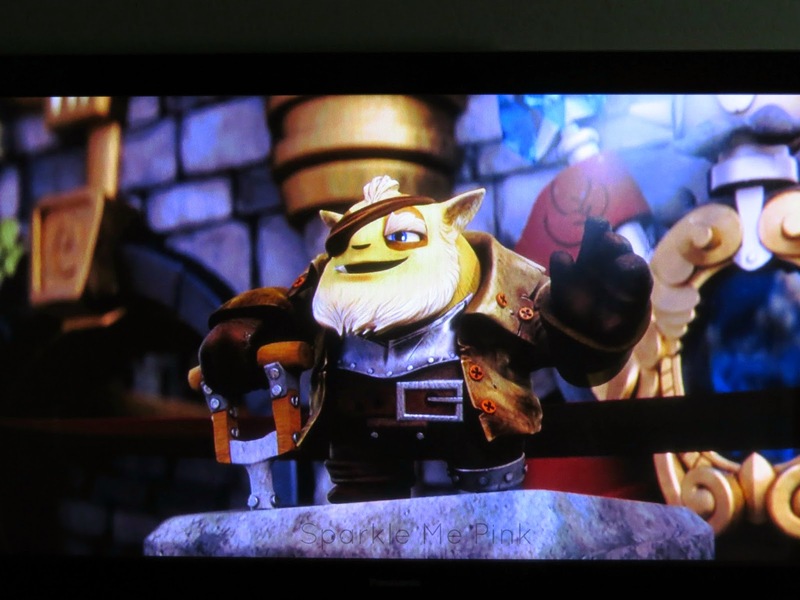 Swing by the Skylanders official site to see which characters will also work for this game. I just thought this little guy was super cute. 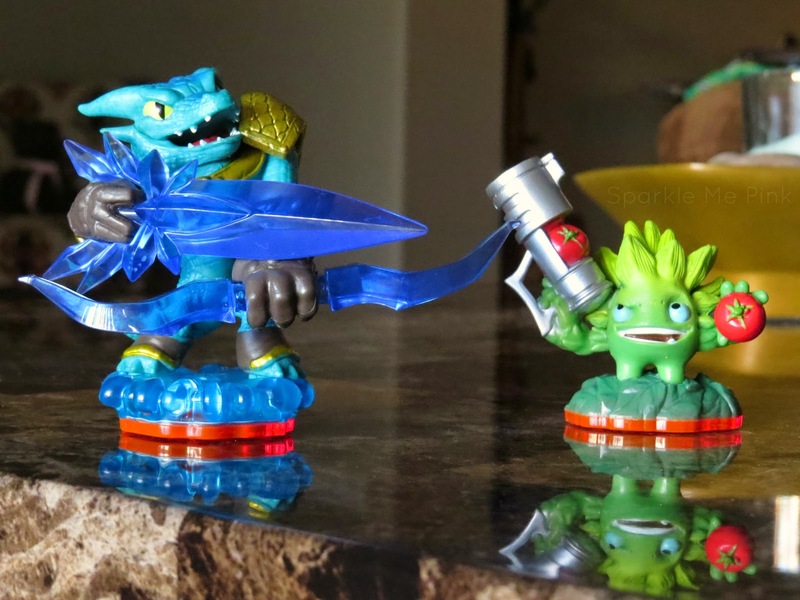 I love that both of my kids enjoy playing these Skylander games. Even 'the princess' gets in on the Trap Team action. What do you think ? 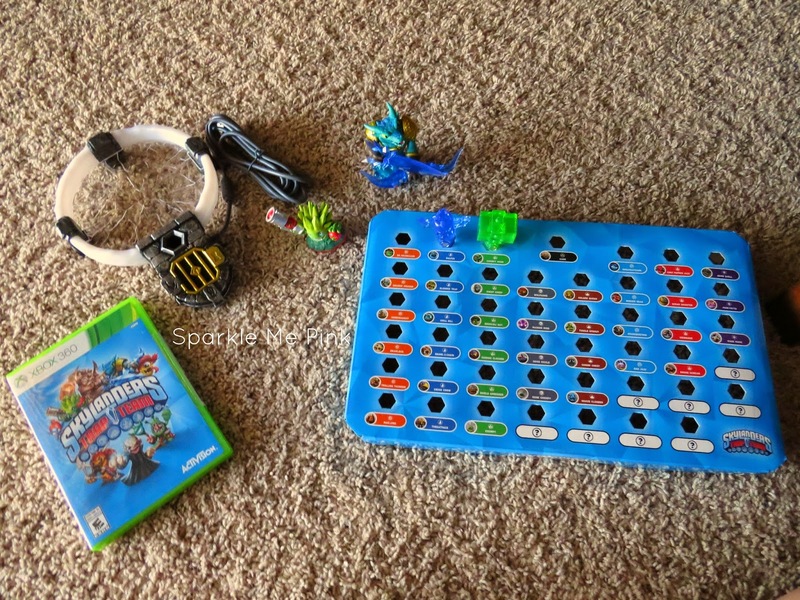 Will you be adding a Skylander Trap Team Starter Kit to your Holiday shopping list ? Did you play video game growing up ? If so which one was your favorite ? Want to grab something even cooler for your kiddos this Holiday season ? How about some exclusive characters ? 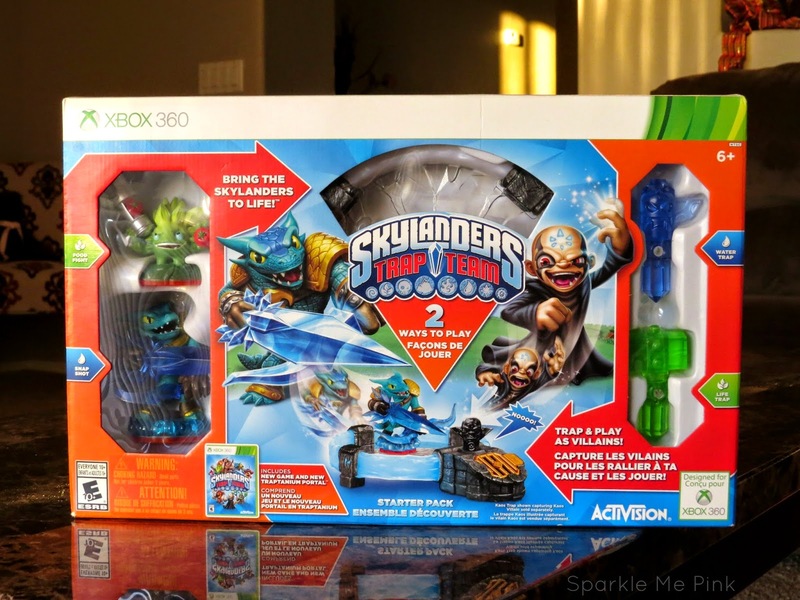 Here is the 411 on the exclusive Skylanders products at retailers nationwide. · Get Legendary at Toys”R”Us – Toys“R”Us stores in North America and online at Toysrus.com will be the only places fans will find the limited edition Legendary Series of Skylanders toys at launch. The Legendary Series features alternative versions of new Trap Master characters and packs, such as Jawbreaker, Déjà Vu and the Nightmare Express Adventure Pack, all of which feature in-game stat boosts. · Meet the Minis at Walmart – Skylanders fans can visit participating Walmart stores or go to Walmart.com to participate in the ‘Meet the Minis’ program to unlock special content featuring the fully playable and upgradeable Minis, including Gill Runt, Stealth Elf, Weeruptor, Pet Vac and Small Fry via the official Skylanders Collection VaultTM app. Walmart will also be the only place fans can find the Skylanders Minis Buddy Pack, featuring Tidal Wave Gill Grunt and Gill Runt. · NITRO Trap Masters at Target – U.S. Target stores nationwide and Target.com will once again be the only place where fans can get their hands on the Skylanders NITRO series of toys, which features the powerful Trap Master NITRO Krypt King. · Three Skylanders for Two at Best Buy – Players that purchase any two Skylanders Trap Team game products at Best Buy will receive a free Volcanic Eruptor character, who’s unique appearance is visible in-game. This promotion is available only at Best Buy. 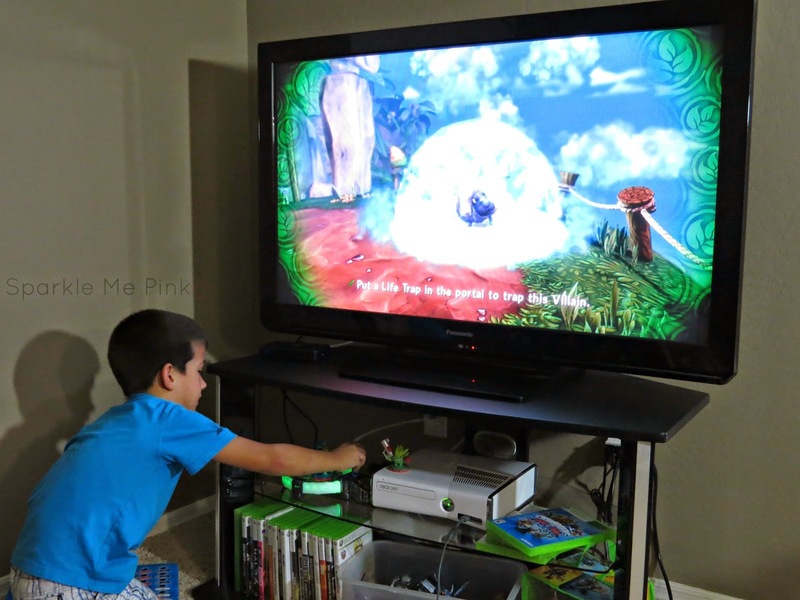 So fun - my boys LOVE Skylanders!! My son is dying to get his hands on this! Wow! That is sooo cool. I bed Dustyn would love it. Looks like they are enjoying the new game! I always thought this game looked cool but I didn't get how to play it. I totally do now!! 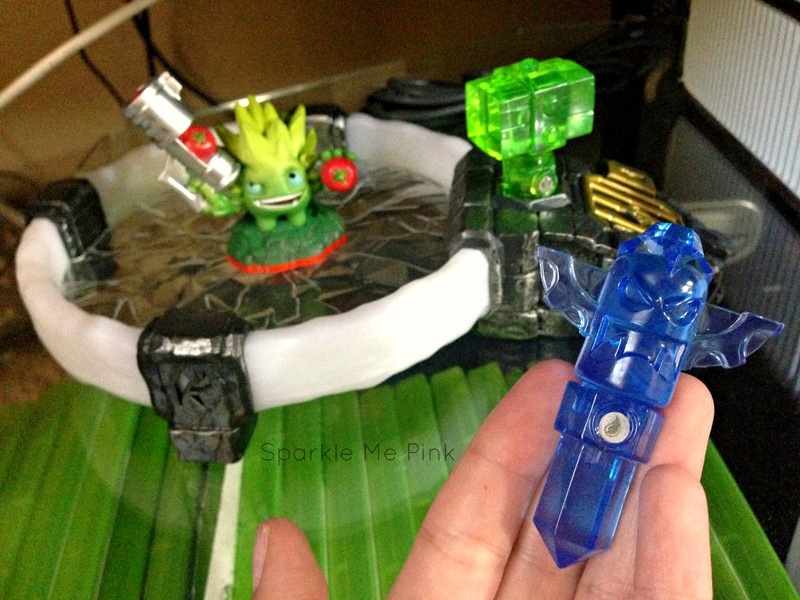 My son is obsessed with Skylanders…but I have no idea what it is.Thanks for sharing this, now I have a better idea! Pretty much every Boy I know wants one of these for Christmas! My boys are too little for Skylanders right now, but they seem to be sticking around. I'm sure we'll have them eventually! 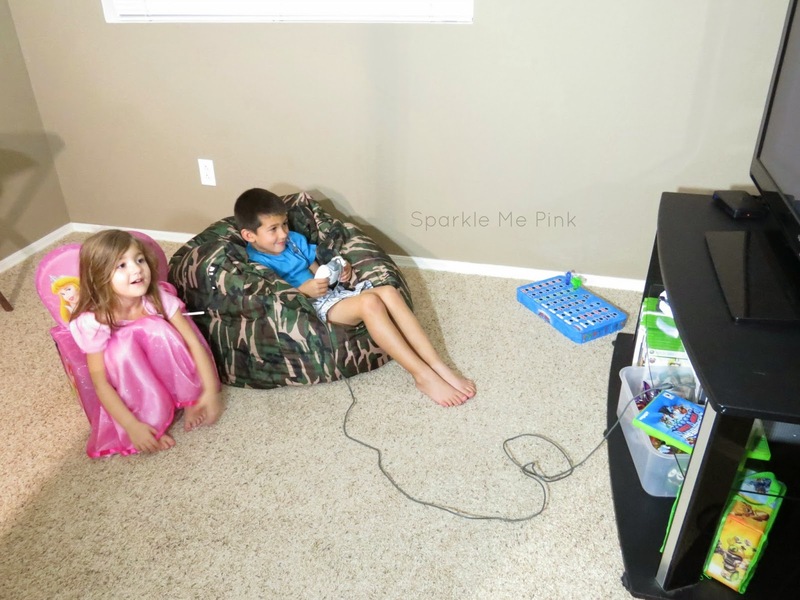 My brothers don't play this, but all boys love their video games!